Model NO. 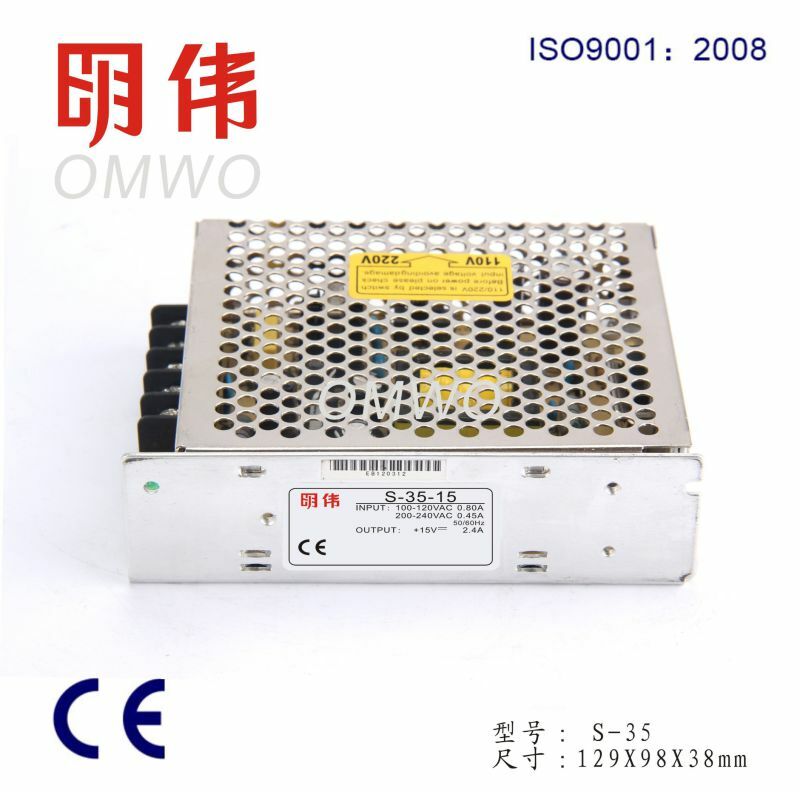 : S-35-5 Warranty: >2 Years Input Voltage: 15V Starting Mode: Self-excited Switching Power Supply Power Supplying System: Terminal Power Distribution Equipment Modulation System: PFAW Brand: Omwo Transport Package: Standard Export Packing Origin: Zhejiang Output Type: Single Output Power: 1 - 50W Connection Mode: Series Switching Power Supply Voltage Regulating Mode: Frequency Modulation Type Energy Transmission: Two-way Transmission Certification: CE, UL, RoHS, ISO, CCC, CB, CSA Trademark: OMWO Specification: 159*98*38mm HS Code: 8504401990 China enclosed switching power supply manufacturers, built-in type chassis, metal shell, switch power supply can be used for room temperature environment. 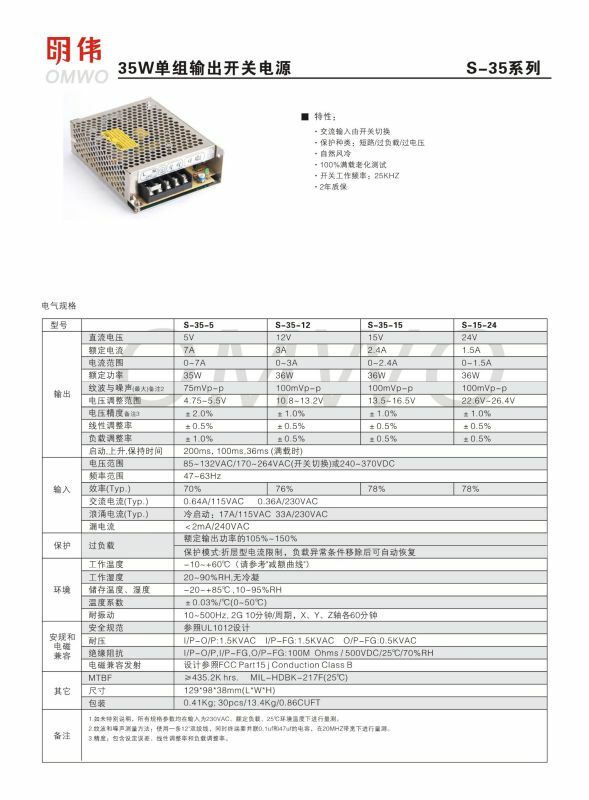 Universal ac input voltage range,have complete protection function, 100% full load aging test. 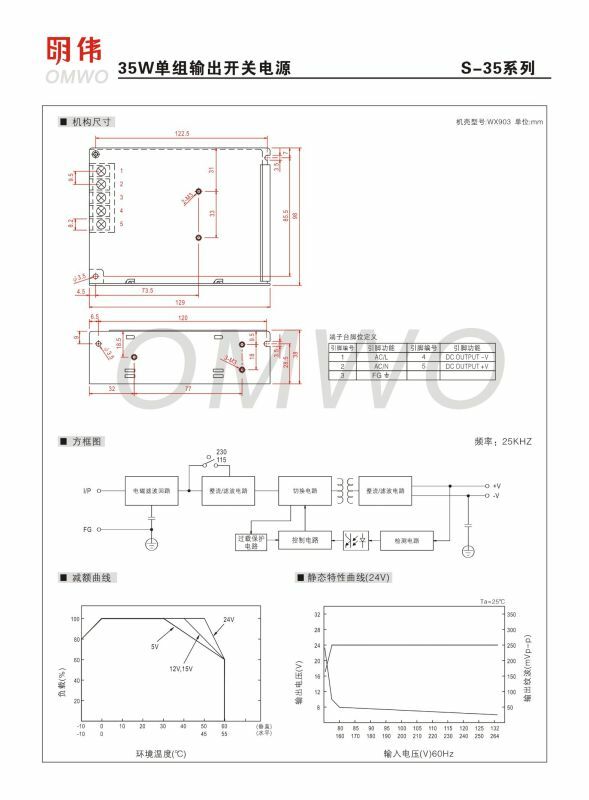 Security monitoring, display, light box, suitable for indoor use.